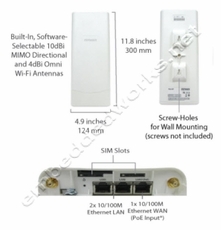 Embedded 4G model supporting 4G LTE for EU and worldwide GSM carriers and providing automatic fallback to 3G as needed.Technologies and frequency bands supported: 4G LTE (Band 1/3/7/8/20); WCDMA/HSDPA/HSUPA/HSPA+/DC-HSPA+ (900/2100 MHz). - re-establishes your IPsec VPN connection on lower prioritylink when your primary WAN fails. - saves you money with a bandwidth allowance monitor thatswitches SIMs when you're close to a data cap. 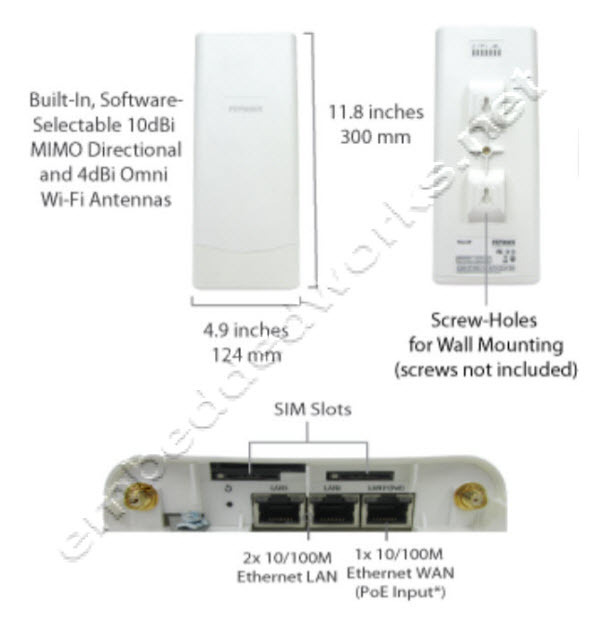 Dual SIM slotsalso eliminate 3G network dead spots . - failover between fixed and mobile links is completelyseamless.